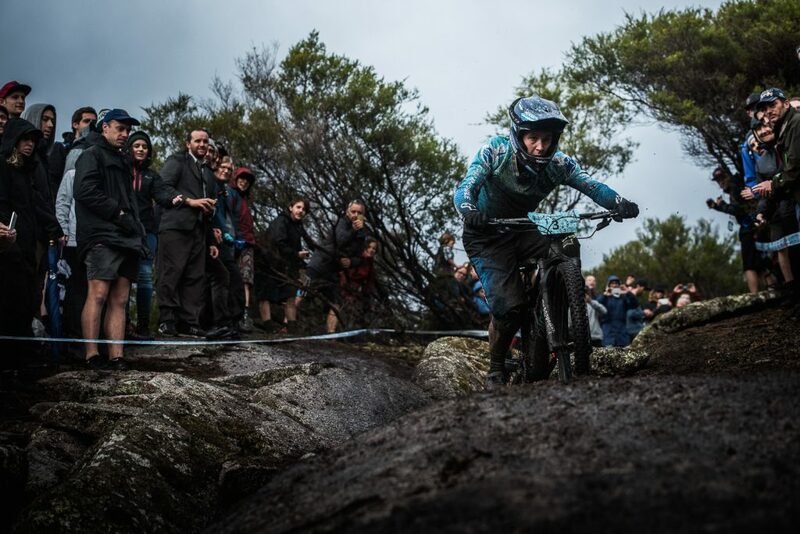 EWS#2 Tasmania another wild race! Travelling around the globe gives us the opportunity to discover new places, especially good spot for riding bikes. First, we didn’t know what to expect from Tasmania, and finally it ends up with a good surprise! Arrived in Derby, one of the smallest village we’ve ever been for a EWS, we’ve already felt the good vibes of the local communities: lots of riders camp near to the river, and all the village is built around the trails center! 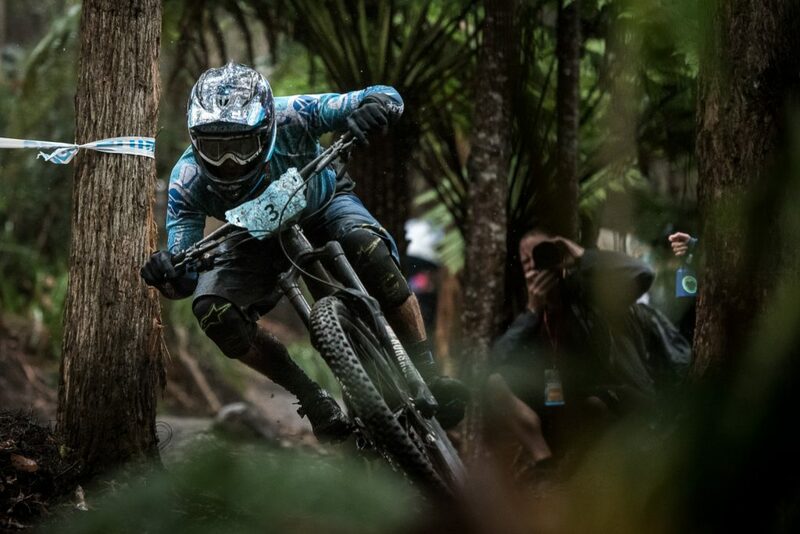 Surrounded by a beautiful lush forest, the stages are just perfectly made for MTB! The scene is set, let’s start the race! After the first round under a pouring rain in New Zealand, let’s start again on a big heavy water drops in Tasmania. 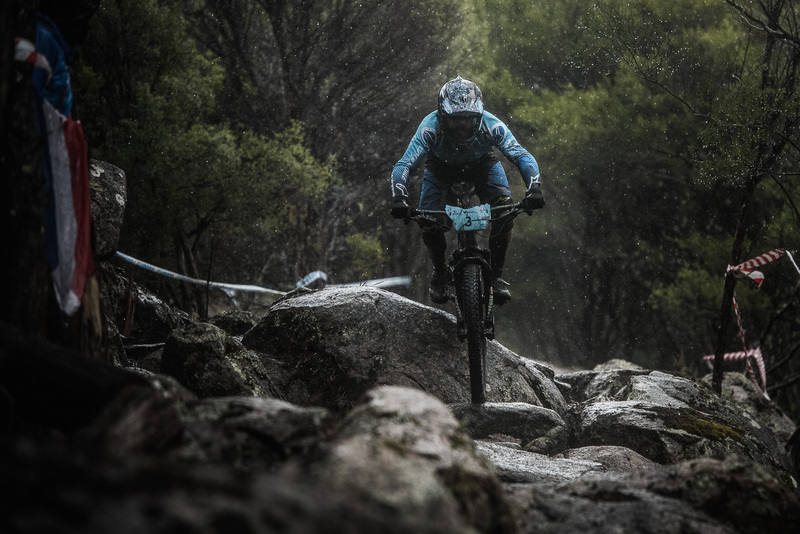 The unlucky weather makes the race harder and the riders have to push their limits to reach 7 stages, 57 km and more than 1600 meters. It was again a really hard day on the bike, but Jérôme keeps his natural good motivation to do his best. He rode very well on the first stages but arrived totally cold at lunch break! Lips blue and body shaking, he tried to refuel and kept going for the rest of the day. Jérôme felt good on the his bike, and likes the stages! 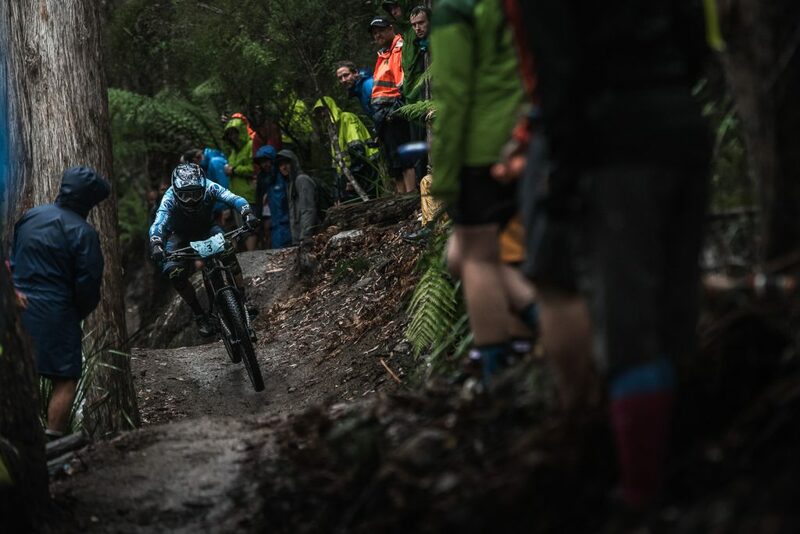 Even though he has good legs, he rode a little bit too « conservative » and the shorts downhills made the times even more tighter, every second counts and you need to be on the charge. A broken chain on the last stage kept outside the top 15, but he finally manages to end up in 17th position!